Habitat Cvp is always looking for ways to respond to local community needs. No where is there a larger Veteran Community than Stevens County and Northeast Washington and as such, there are countless issues that arise that need to be addressed . 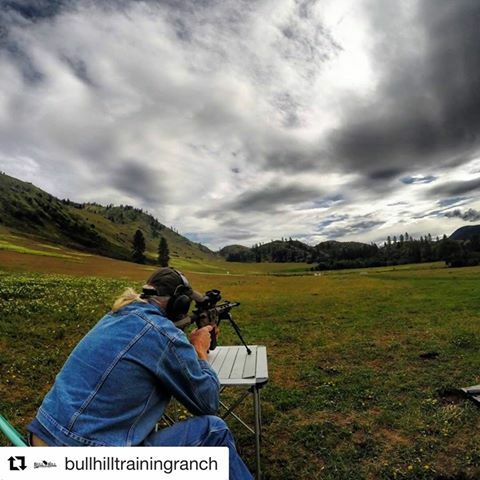 Recently, Habitat for Humanity (Colville Valley Partners) had the honor to partner with The Big Voice and Bull Hill Training Ranch and sponsor a Veteran to take part in two days of "taking their shot" at moving targets, distance challenges and open range time at Bull Hill Training Ranch just outside Kettle Falls. This event is put on to help shed light on the struggles that Veterans face when coming home. It was for all levels of shooters from beginners to experts and for their friends and families too. With the help of The American Freedom Fund, The Big Voice and countless other sponsors we look to help out those that have sacrificed so much for all of us. Habitat had a Representative on site for the entire weekend and the camaraderie, family and fun was from beginning to end as Veterans, their families and friends experienced great food, great fellowship, campfire stories and taking their shot at a multitude of targets even up to one mile away. We cannot stress enough how great this event was and encourage everyone to go "like" the Big Voice, American Freedom Fund and Bull Hill Training Ranch pages. We look forward to seeing this event continue to grow and our own future partnership in making that happen.